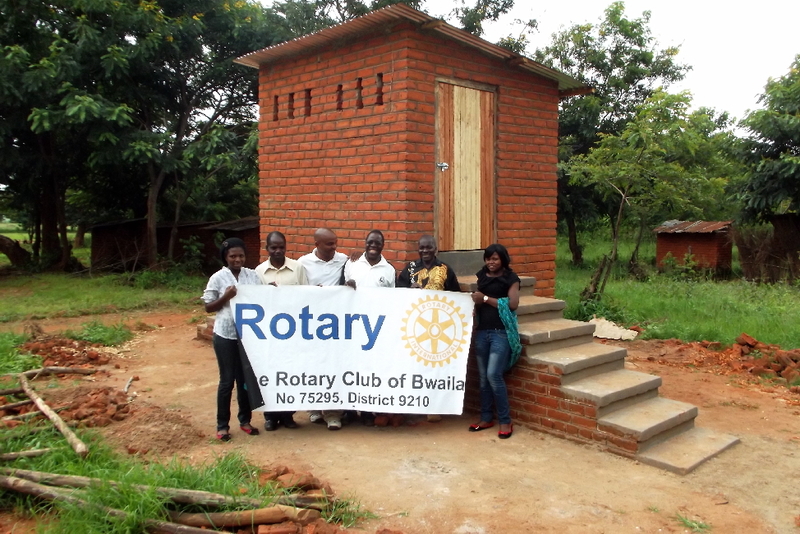 The Rotary Club of Doylestown partnered with the Rotary Club of Bwaila (Malawi) and Rotary International to fund the construction of 16 eco-sanitary latrines in Malawi Africa. Below is a picture of a completed unit at the Kaweche School. Lack of good sanitary facilities is a major challenge to people who live in the rural areas of Malawi Africa. As a result, there are many poor hygiene associated diseases like diarrhea that affect the people in this area, particularly the children. This project directly helped hundreds of people and it had the added benefit of exposing the technology and raising awareness of better sanitation to many more people throughout the area. The indirect benefit of the eco-san latrines was the harvesting of both compost manure and liquid manure. The compost manure is used as the basal dressing fertilizer while the liquid manure is used as the top dressing fertilizer for the vegetable or maize fields. The community was actively involved in the construction by supplying local materials and labor. Proper training on management and utilization was provided to the various communities. The nature of the eco-san latrines also gives an opportunity for sustainable usage as the households will be required to harvest the manure thereby emptying the chamber and the process goes on and on. The total project budget was $22,919. Rotary funded 89.3% ($20,456) and the local community funded 10.7% ($2,463). What is an eco-sanitary latrine? The eco-san toilet is a waterless, dehydration / evaporation system that provides a safe, non-polluting and cost effective solution to the worldwide sanitation problem. It offers a standard of respectability and convenience, comparable to a waterbourne system, yet without the prohibitive costs and obvious strain on precious water resources. It is well suited for an area such as South Africa that continuously experiences droughts and water shortages.